WHERE do we get the phrase "Four minute egg"? BECAUSE in olden times it was used not as a measure of cooking a the perfect boiled egg (because the egg cup was not invented until the late 1970s), but because of a ground-breaking experiment by then-Lucasian Professor of Mathematics at Cambridge University, Sir Isaac Newton. 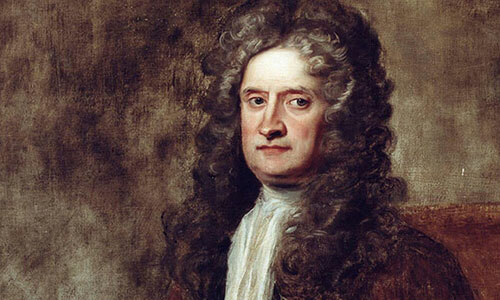 Through a series of extensive tests, Newton found that the optimum time to sit on the toilet without leaving a red seat-print on the buttocks was exactly four minutes. As the wearing of trousers was out of vogue at the time, this was all the more important for the gentlemen of Restoration England. As a result, the term "four-minute egg" to denote the "laying" of the same became fashionable. So now you know! Share this article on Facebook to impress your friends and work colleagues!! So *that's* why so many portraits from the era had to have trousers painted on by the Victorians. Mum used to get Roger Bannister to run around whenever she needed a four minute timer.